10 Years Younger In ONE HOUR! 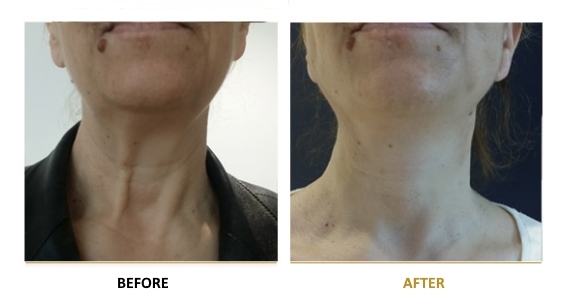 Thread Lift (MINI LIFT) is a procedure used to eliminate facial wrinkles and sagging skin, with the goal of improving the overall appearance of the face and neck. 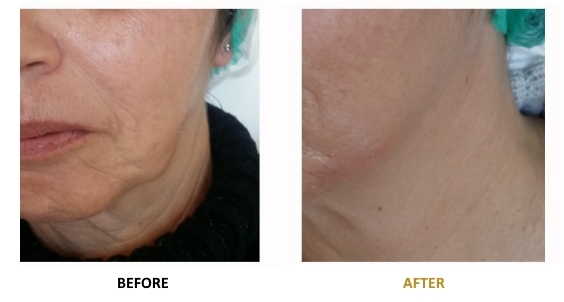 To perform this procedure, we use COG threads that lift and tighten the underlying muscles of the face, thus creating more aesthetically pleasing contours appearance and rejuvenating the facial structure. 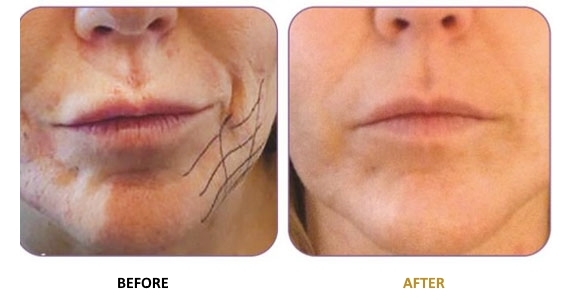 VF LASER CLINICS ARE THE ONLY COSMETIC MEDICINE CENTERS IN GREECE, THAT COMBINE THREAD LIFT WITH DERMAFRAC ™ TECHNOLOGY! The Dermafrac™ treatment offers deep skin hydration and firming, thus it prepares patient’s skin for the APPLICATION of the COG threads. 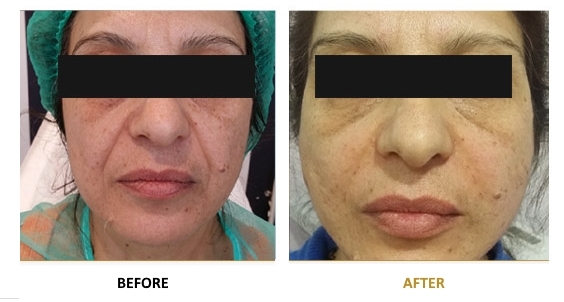 IMMEDIATE SKIN REJUVENATION and FACE TIGHTENING. A Safe and Effective Solution for a Wide Range of Aging Problems. HOW DOES MINI LIFT WORK? Thin COG threads are inserted subdermally with the help of a local anaesthetic. 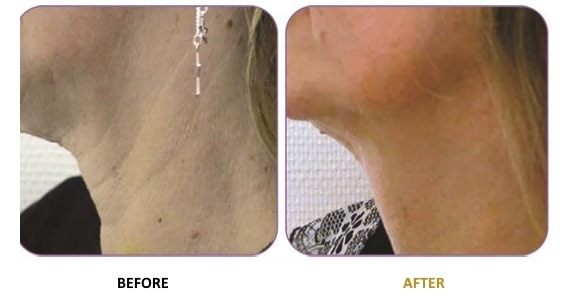 These threads lift and tighten the underlying muscles of the face, thus creating more aesthetically pleasing contours appearance and rejuvenating the facial structure. Sagging is eliminated and skin firmness is restored since COGS stimulate the production of collagen. 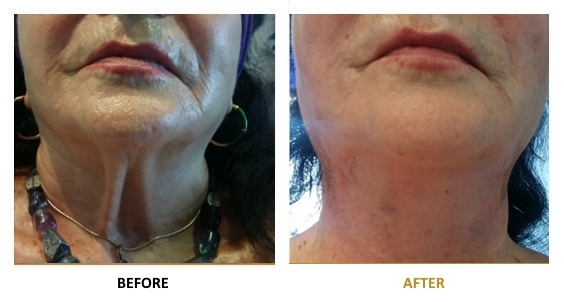 Thread facelift treatments are not only applied on the face, but also on the neck, cleavage and even body areas. AM I A CANDIDATE FOR MINI LIFT? The best candidates for a thread facelift are in their 30s to 50s. 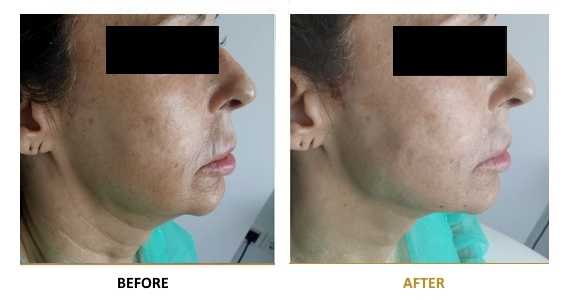 This procedure is ideal for people who wish to have long lasting cosmetic enhancements without having to endure surgical facelifts, scarring and time off work. Thread lifting is only performed by our medical team. Our doctors have at least ten years experience in the field of face reconstruction and have obtained all the necessary legal licensing. The procedure itself is FDA approved and all the materials used have both CE and FDA marking. 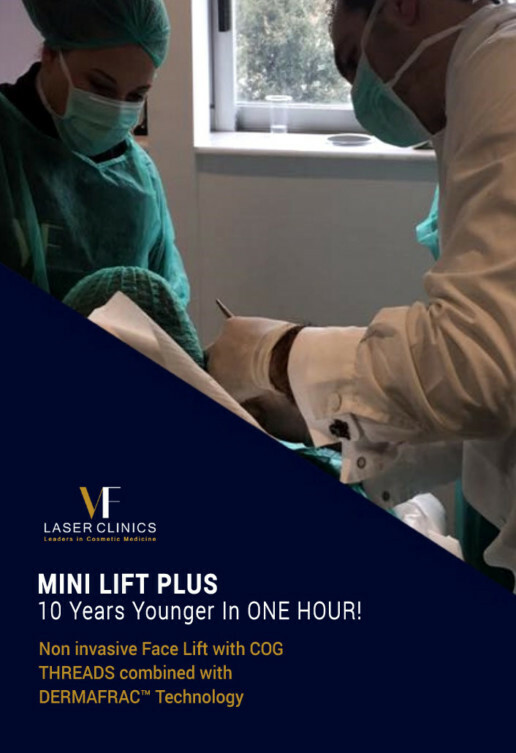 Millions of Mini Lift procedures have been performed worldwide, and for the time being, it is the #1 non-invasive face lift procedure! The procedure is non-surgical, non invasive and you can return to your everyday activities immediately after the treatment!